Ross Taylor, 30, was last seen at his home in the Mayfield area of Midlothian on Sunday afternoon. The partner of a missing man has made an emotional appeal for his safe return. The father-of-three's disappearance has been described as out of character. At a police appeal on Wednesday, Mr Taylor's partner Laura D'Arcy said: "Ross left our home on Sunday at noon and we've not heard or seen from him since. "He's a loving father to his family, our three children. "Ross only goes to work and he will come straight home and care for the children, myself, so this is completely out of character for him." Whilst holding the couple's six-month-old baby, Ms D'Arcy, 30, appealed directly to her other-half. She said: "Ross, if there's some chance you see this or hear this, we love you and we miss you so much, and we just need you back to be safe." 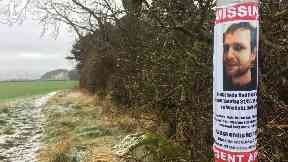 A wide-ranging search has taken place since Mr Taylor disappeared. 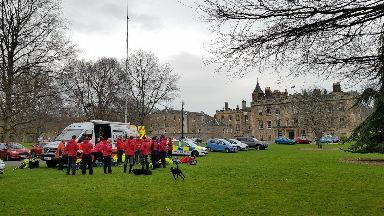 On Monday, mountain rescue teams combed a large area of woods and open ground around the village of Newbattle. Alongside police officers, 32 mountain rescue personnel were involved along with search and rescue dogs and a drone search team. On Facebook, Tweed Valley Mountain Rescue Team thanked Tesco Dalkeith for providing refreshments. 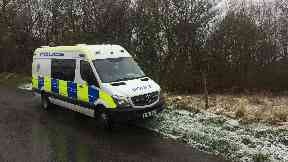 They added: "Large areas of woodland and open space were searched in the Newbattle area, but with no success. "We have now stood down for the evening, pending further information." Chief inspector Arron Clinkscales praised all those who have helped in the search, including the Mayfield community and Mr Taylor's workmates at SSE. He said: "It's been a really great concerted community effort of the community in Mayfield and the surrounding areas. "We've got Ross' work colleagues from SSE energy company - there have been 16 of them out in vans over the last couple of days. "We have had Tweed Valley Mountain Rescue out helping us with their extensive search teams, and drone teams, and search dogs. 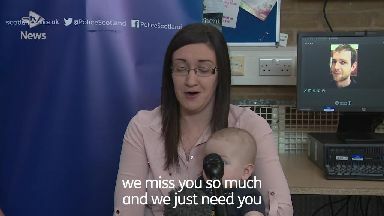 "We have our own Police Scotland specialist resources - search teams that are searching as well, together with our police dogs, police helicopter, and search and rescue helicopter from Prestwick." Anyone with information on Mr Taylor's whereabouts can call 101.